The world’s first regulated whisky fund is making it easier for whisky lovers to invest in whisky. The Single Malt Fund, launched by Swedish whisky enthusiast Christian Svantesson, offers investors the chance to indirectly own a share of a large collection of rare and limited edition whiskies. The fund will employ five ‘internationally acclaimed’ whisky experts who will select the whiskies. Investors will also be offered first refusal on the sale of single bottles from the fund’s online inventory, before they are offered to the public. 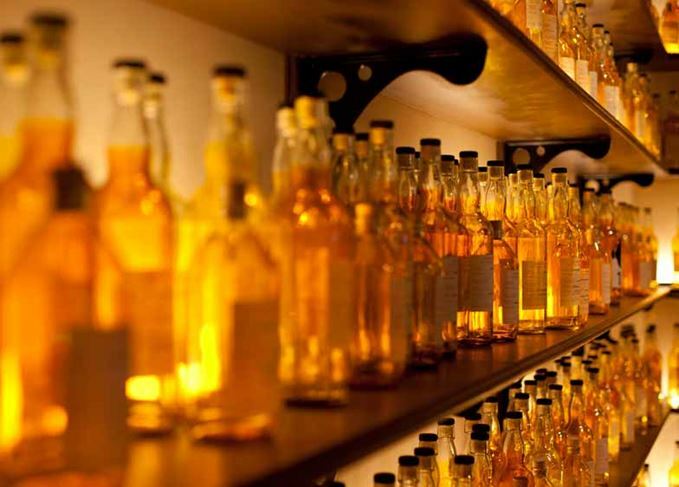 The fund will be monitored by the Swedish Financial Supervisory Authority, and will launch on the Nordic Growth Market exchange in Stockholm, making it the world’s first publicly listed single malt fund. Svantesson said the idea to launch a whisky fund was the result of a conversation with friends on a visit to Islay. ‘As an entrepreneur, I couldn’t resist the temptation to combine my passion for whisky with my entrepreneurial drive. ‘I wanted to create kind of a “commodity fund” for whisky, a mutual investment fund – regulated, transparent, open and listed on a public exchange, preferably here in Sweden. The Single Malt Fund’s launch follows news last week that the value of rare whisky sold at auction in the UK – the largest market for whisky auctions – hit over £25 million in 2017.